Doing races is so exciting! I love everything that comes with it. From the butterflies in my stomach, to getting tired in the race, to crossing the finish line. 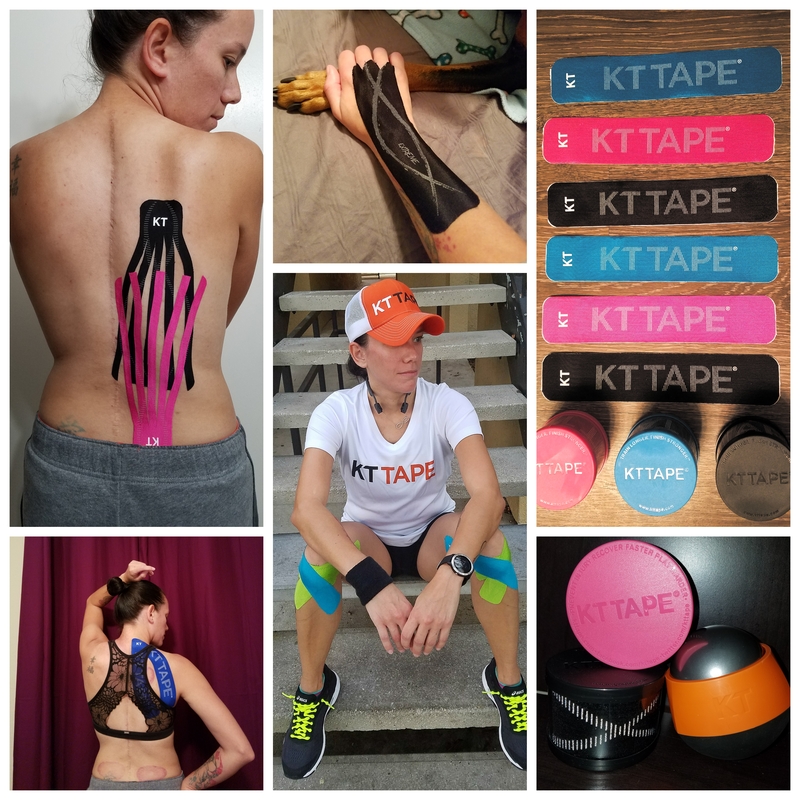 So many things come along with deciding to race! I almost always post on instagram and twitter each time I run. Many of my personal friends on FB get tired or annoyed that I post it every single time. But you know what, I do it anyway! Why? Because running for me isn’t promised. I take each time I lace up as a gift that needs to be celebrated. I never take it for granted. I also share it so everyone sees my struggles, my triumphs and my success. As many of you know, running isn’t easy, especially for me. I don’t look for excuses as to why I can’t do it, I look for ways around the obstacles. If I fail, I dust myself off and try and try again. There is no giving up, there is no quitting, there is only ways to reach goals. I constantly share my story with others as others share my story as well. For many reasons; Scoliosis is a disease many are ashamed, embarrassed, or shy to talk about it. I was once like that, I still have my moments.But I want to give Scoliosis a voice. I want to bring some awareness to this painful struggle many deal with but don’t talk about. Whenever I go for a run and tell you all about it, I always describe it. Whether it was good or bad. 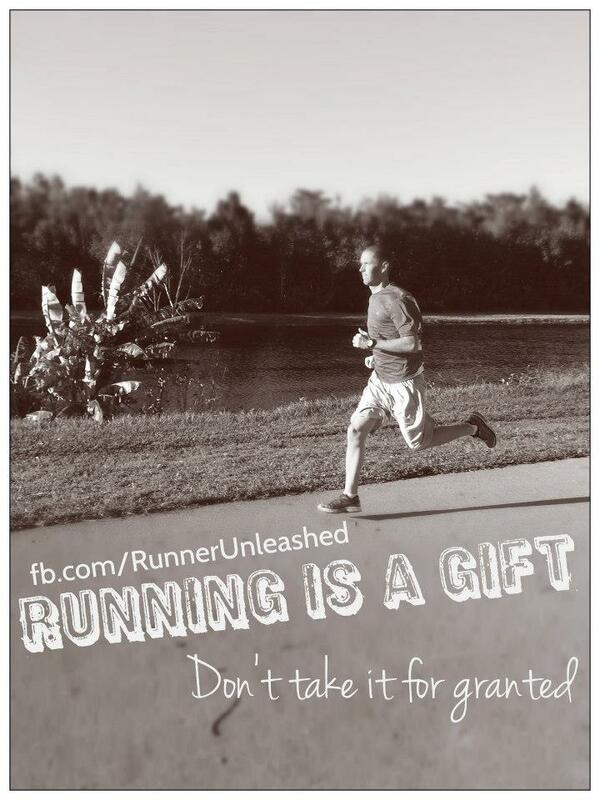 I embrace what I get, I learn from it and become a better runner. As many have experienced, racing brings lots of goodies, more specifically…MEDALS!!!! Yes the medals are something runners hold dear to our hearts. Particularly medals from a race full of meaning and memories. The only problem with that is that we run out of places to hang or display our medals! I have two racks full of medals and had a whole stack of medals waiting to be hung. Not only did they write everything that is meaningful to be but they replicated my Scoliosis, twisted spine x-ray! This is an incredible piece of artwork! Yes artwork! 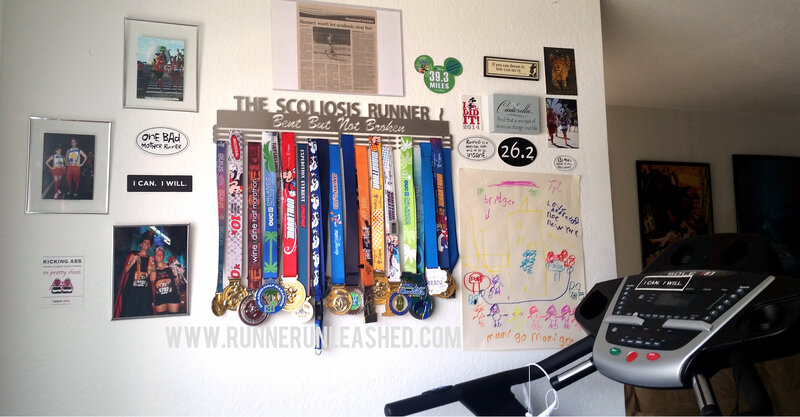 While they have an array of medal hangers to choose from, you can design your own. I LOVE Allied Medal hangers because its sturdy, metal, light, and it hold a heck of a lot of weight! I have hung up my FAVORITE medal hanger and it holds all my medals and still has room for more! Now I can proudly display all my hard work, sweat, and tears it has taken for me to overcome Scoliosis! I have a little running area in my house where my treadmill is and I decided to hang this right next to it. It is the first thing you see when you walk into my house and its right where I can see it when I train on the treadmill. I know some just put the medals in a drawer or just forget about them, but not me.It took A LOT of determination to get these. I don’t run for the medals, I run for the finish line but having a medal is a memento that gives me a way to always remember each race and everything I went through. Having them displayed is a HUGE help on days I struggle to walk because of my Scoliosis pain. If you are in need of displaying your hard-earned bling, please check out Allied Medal Hangers. Their products are amazing and unique! The stainless steel is made here in the U.S. and family owned. Everyone who works there is nice and as helpful as can be. I am completely satisfied with my medal hanger and proud to hang it on my wall. My “homeless” medals now have a permanent home, and still room for more. It is a great reminder that I am not limited to my Scoliosis and chronic pains it brings. I may be bent but I am definitely not broken. This is my first time stopping by your blog and I am inspired, I absolutely LOVEEEEE your mentality on your condition, it reminds me a lot of how I advocate/voice about my Irritable Bowel Syndrome so much, since many are embarrassed by it. Your medal hanger is beautiful, not because it is adorn with medals, but because it is SO you, “bent but not broken” and how you “overcome the obstacles’ not make excuses. I ave a lot of health issues that limit me as well, but I work with them, and make the most of it too 🙂 Positive Vibes my new friend! Thank you for sharing this and keep on sharing your journey, trials and triumphs! You are an inspiration. Previous Previous post: 15K Challenge Complete! Next Next post: Gear for the year?! ?